This exhibition displayed the best royal manuscripts collected by kings and queens of England from the 9th to the 16th century. 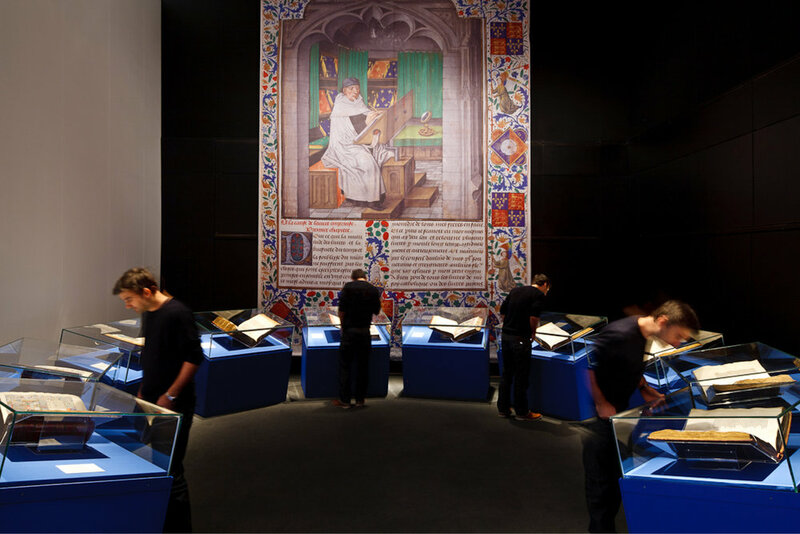 The exhibition was arranged into 6 coloured sections to help visitors understand the results of a research project into how they were made, drawn, written and collected in order to spread both religious and secular knowledge. 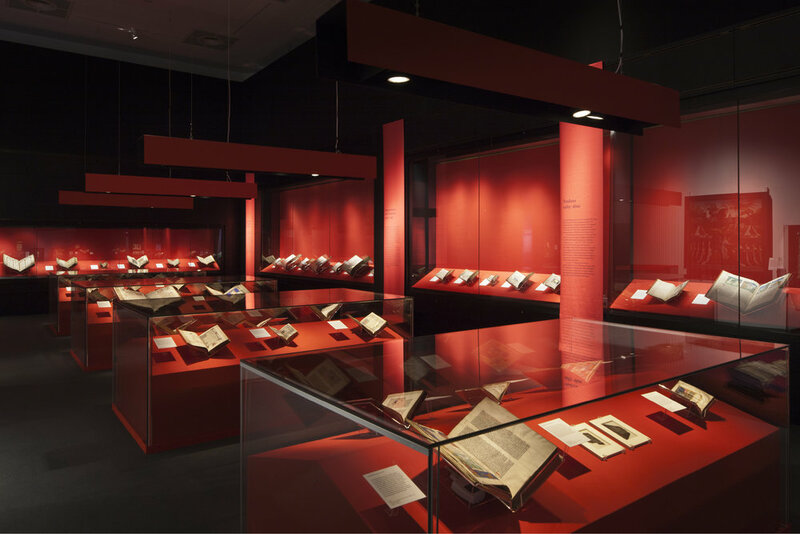 The design that we produced for the British Library enabled visitors to get close to the beautiful detail of the manuscripts and enhanced and revealed the sophistication and meanings in the manuscripts. We combined the perimeter cases and bespoke cases to bring the exhibits closer to the visitor. We worked with John Morgan Studio to ensure typography was of the highest standard. “Both specialist and novice visitors were shown new curatorial insights that communicated how these historic documents shaped England’s learning and scholarship of the Royals. "The British Library’s Royal Manuscripts exhibition brings ancient illustratedmanuscripts back to shimmering, captivating life."